Chiropractors hate horse riding which of course is an exaggeration; I haven't tested the opinions of my colleagues. You've gone to visit granny and gramps, and they have a horse. You're on holiday and, on offer is unsupervised horse riding. In Holland we have a saying or little poem for almost every situations; there are a lot of horses, so chiropractors hate horse riding here too. It doesn't rhyme nicely in English as it does in Dutch but here goes. Not many of you, if any, will have read the delightful autobiography Riding with Reka by "Heather" printed in 1937. Heather started writing her book when she was only fifteen; it tells of the simply marvellous life of a teenager and her horse. Beautifully, simply, it recounts the life of her friend Reka, the black foal. 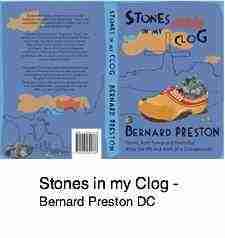 An enchanting book. The foreword opens with the chilling words: "Joyce Mary Vivian (Heather) at the age of eighteen has passed to the Great Beyond... without consulting anyone she sent the manuscript last summer to Messrs. Eyre & Spottiswoode who decided to publish, not knowing of the accident which happened so soon after." Heather never heard that her book had been accepted for publishing; or that eighty years later folk would be still enjoying it. Life is about risk taking undoubtedly; to avoid them all, stay in bed every morning, and even that has its dangers. But parents who encourage their children to get involved in reckless and irresponsible horse riding should be put in the stocks and have rotten tomatoes thrown at them. Heather's is a story about the right way to do it. She went to a proper riding school, learned about horses the correct way, mucked out the stables, and enjoyed a marvelous, outdoor life that should be the envy of any child. And yet, the Great Unknown at only eighteen was her fate. Learn to ride horses, motor bikes, and gliding the right way, and I'm wholly in favour of it. Yes, they are dangerous sports, but life is intrinsically hazardous. You weigh them up and have a ball, knowing that it may occasionally end up in tragedy. The lower neck has small, vulnerable parts called an uncus or uncinate process. They prevent sideways movement of the neck bones, protecting the nerve roots as they emerge from the spine. But falls on the head, whiplash, diving accidents, contact sports like rugby often injure these little bones and they become arthritic, producing little daggers of bone that invade the foramen. 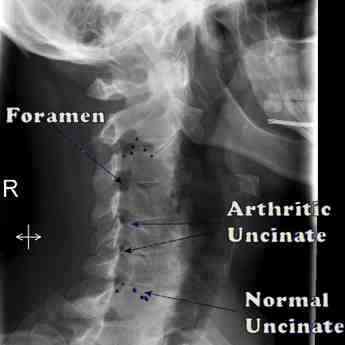 Uncinate process is a small slither of bone that protects the vertebral artery and nerve root from a prolapsed disc in the neck. It is particular vulnerable to trauma and one of the reasons chiropractors hate horse riding; they are a very common cause of arm pain. But the net result is irritation of the nerve roots supplying the arm, and a lifetime of tingling in arms and hands, carpal tunnel pain, and rotator cuff syndromes; in short, misery. So, respect a horse. It's a potentially dangerous animal that can severely injury your child. Allowing him, or even more likely her, to climb, unsupervised, onto the back of an unknown horse, is like allowing your teenager, who has never ridden motorcycles before onto a superbike. 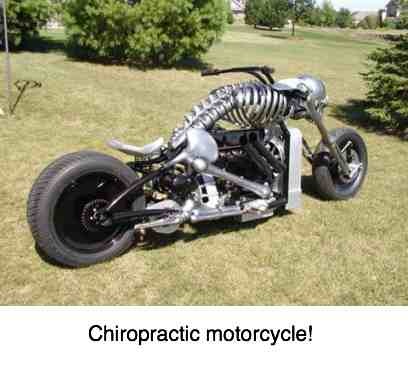 Like this one custom made for a chiropractor! 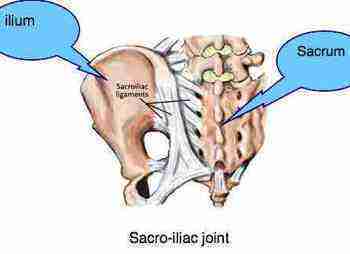 Sacroiliac joint is vulnerable when exposed to heavy trauma to the pelvis. A fall on the sacrum from a height is another reason why chiropractors hate horse riding; it can and does cause life long pain. 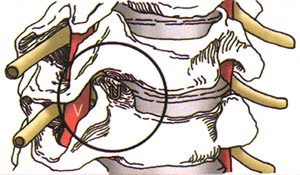 A fall off a horse or motorcycle onto the small of the back often shifts either the sacrum or ilium, depending on how you fall, injuring the sacroiliac joint ... Whilst this joint is very strong bonded with ligaments, everyone falls periodically and the SIJ was so designed by the good Lord, but it would seem he didn't have in mind that we humans would mount horses and superbikes! Arm pain, and tingling in the upper limb are the subject of the most inquiries at this site. Chiropractors hate horse riding, but damage is done equally in any whiplash injury and especially diving into shallow water. What has provoked this diatribe against horses and horse-riding is a recent patient, one of many, who has had twenty-five plus years of misery. Only forty, she has severe neck pain, pain radiating down the arm, disturbed sleep, weakness (known as "paresis" in medical terms) in the fingers. She recalls having to wear a collar after a fall off a horse when she was eleven. X-rays show injury and the resultant arthritic changes in the joints of Luschka, pinching the nerve to the arm. It's cost her fortune over the years too. 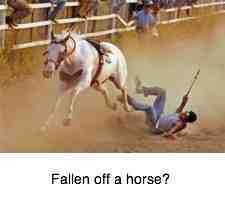 Think twice before letting your child on the back of an unknown horse. Now you know why chiropractors hate horse riding. You may say, but it brings you a lot of business. True, but it's hard, unrewarding work. The patients are rarely satisfied, because no one can cure them. Relieve the pain, yes, but you're letting your child in for a lifetime of regular chiropractic treatment. Treatment that will help, carefully and skillfully done, but never cure, and sometimes ends up in neck surgery. One last thought: research shows that once you, or your child, have had neck pain for six months, you'll have it for the rest of you life. If you know you've had an injury, do something! It's odd, patients are quite happy to allow chiropractors to manipulate their necks, but their children are quite another story. If you trust your chiropractor with your spine, then trust him or her with your child's health too; and also Granny. I'm currently treating a child of only six weeks, and a great granny of 89. Carefully, gently done, chiropractic is safe for young and old. Shall I repeat it? Chiropractors hate horse riding and especially irresponsible parents who allow their children on any unsupervised pony, or motorcycle or glider. Go from Chiropractors hate horse riding to ankle joint pain home page. The importance of choline food sources to reduce inflammation. 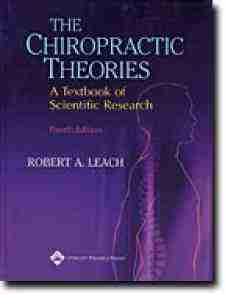 A must for every chiropractor's shelf. Bernie takes a working sojourn in the polders; faced with a much broader spectrum than just musculo skeletal conditions he finds much to ponder. 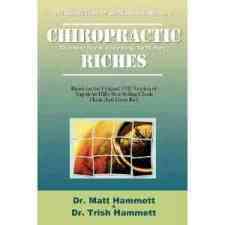 Richly interesting and provocative interviews with twelve leading chiropractors. One of the most inspiring chiropractors of our time. 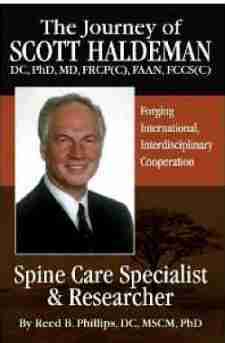 His grandmother and father both chiropractors, Scott qualiefies first as a DC, then a medical doctor, and finally an eminent neurologist.